Although March is designated as “National Colorectal Cancer Awareness Month” and an opportunity to celebrate “Gastrointestinal Nurses Day,” I believe every month is a good time to learn about the Gastrointestinal (GI) issues our children face and the help we can offer to ease their pain. As the pediatric Gastroenterologist at Signature Healthcare, I follow about 150 children of all ages who suffer from varying types of inflammatory bowel disease (IBD). This sometimes develops in older children, in their late teens and early 20s, and if not caught soon enough, could result in hospitalization and the removal of a colon. Two of the more common IBD issues I treat are Ulcerative Colitis and Crohn’s Disease. The exact causes of these diseases are unknown, but risk factors do include family history and genetics. In Crohn’s Disease, the immune system can’t tell the difference between normal body tissue and foreign substances. The result is ongoing inflammation of the gastrointestinal tract. We see this disease occurring in patients between the ages of 15-35. Symptoms may include a crampy abdominal area, fever, fatigue, loss of appetite, pain during bowel movements, persistent watery diarrhea and unintentional weight loss. We perform a physical examination and tests in our the office to identify this disease, and get children started on treatments like dietary and nutrition changes, medicine, stress management and even surgery. Ulcerative Colitis also involves the immune system, and although stress and certain foods can trigger symptoms, they do not cause the disease. It may affect any age group, but peaks between ages 15-30 and 50-70. Symptoms include abdominal pain and cramping, abdominal gurgling sounds, blood in the stools, diarrhea, fever, rectal pain, weight loss and even joint pain/swelling or skin lumps/ulcers. With my GI patients, my goal is to control the attacks, prevent repeated attacks, and help the colon heal. I visit with my patients regularly, typically every 3 months, developing a relationship where I can understand how my recommended treatment (medications, nutrition, etc.) is affecting them. I can then help coordinate with a child’s adult GI physician as they grow into adulthood – we have several excellent specialists at Signature Healthcare. With the right diagnosis, patients can live normal, productive lives, but it is important to catch the diseases early to prevent damage to internal organs and unnecessary surgeries. Because these specific issues tend to affect teens, who often don’t like to talk about personal issues, it is important if you notice any symptoms discussed above to be sure to talk to your child and schedule an appointment with a pediatric GI specialist. We also have pediatric endoscopy nurses who work with children to assess the affected GI areas, and pediatric anesthesiologists if they need an endoscopy. Remember, contact your healthcare provider if symptoms in your children include persistent abdominal pain or fever, new bleeding, or other symptoms mentioned above. 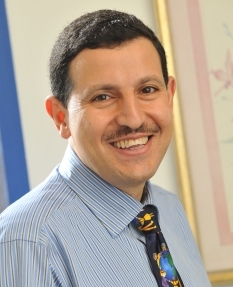 ** Dr. Abdel-hai Hammo is Signature Healthcare’s Chief of Pediatrics. He practices at Signature Healthcare’s Children & Youth Clinic at Brockton Hospital, as well as our Signature Medical Group Rt. 44 Raynham location. Thank you for addressing this important issue. Our extended family has been dealing with this important issue this year, as one of our family members was diagnosed with ulcerative colitis in her freshman year of college. This has led to multiple hospitalizations, surgeries, and a temporary withdrawal from school. I was unaware that it commonly effected teens until she was diagnosed. It would be wonderful if more young people addressed the symptoms sooner to avoid more distress. Thank you again.